Jerry is interested in Elaine’s friend Winona who is Native American, but she gets offended when Jerry brings Elaine a cigar store Indian as a “peace offering” after they were arguing. 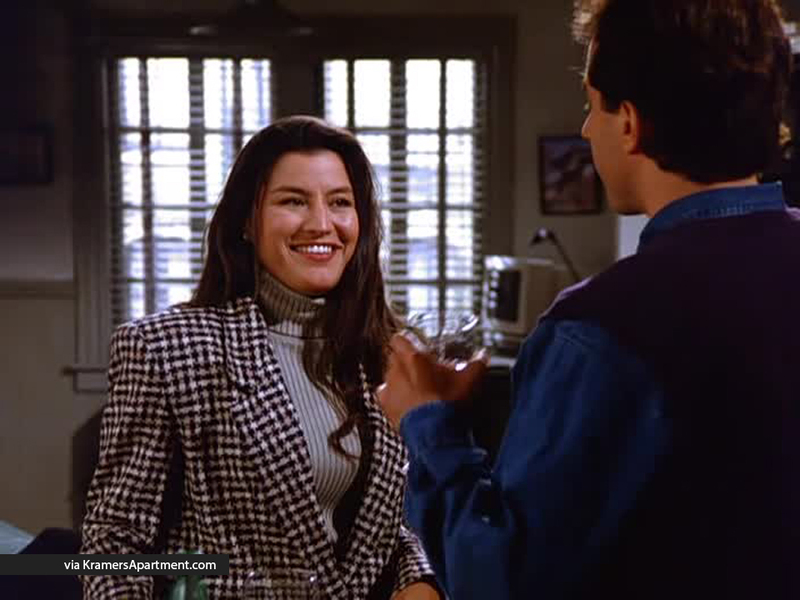 Jerry tries to make it up to Winona by taking her out on a date but he continues tripping over his words, making racially insensitive remarks by mistake. Jerry: Uh, Winona, it’s Jerry Seinfeld. Jerry: Uhm, listen, I really felt bad about what happened, and I, I, I’d really like to apologise. Can I come up? Jerry: I thought we’d eat at the Gentle Harvest. Winona: Ooh, I love that place, but it’s usually so crowded. Can we get a table? Jerry: I uh, I uh, I arranged for the appropriate accommodation. And then, Knick tickets, floor seats. 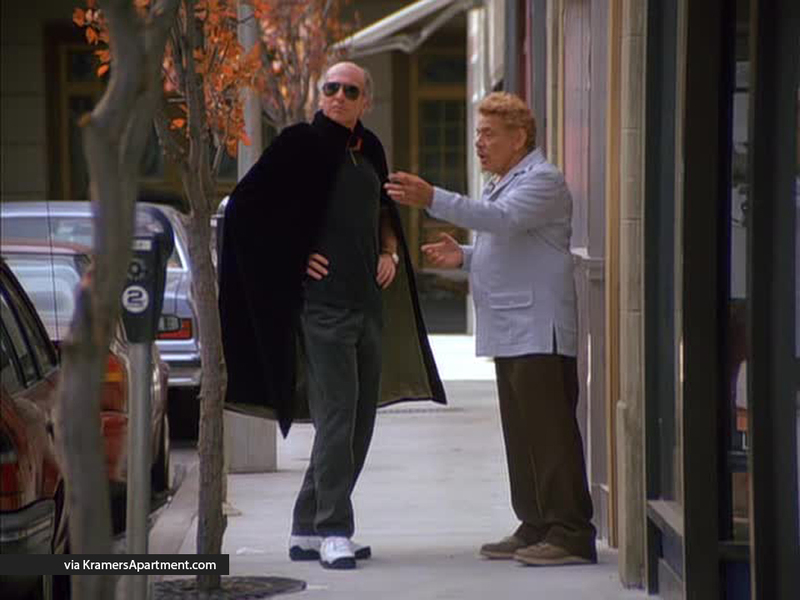 Jerry: Got ’em on the street, from a scal…A uh, one of those guys. Jerry: Oh well, they’re both chubby weathermen. I get Dom Deluise and Paul Prudhoe mixed up too. Could I have this? Winona: I like your place. It’s very unassuming. Winona: Oh, by the way. That TV Guide I gave you, I need it back. Winona: Well, I’m doing a report on minorities in the media, and I wanted to use that interview with Al Roker. 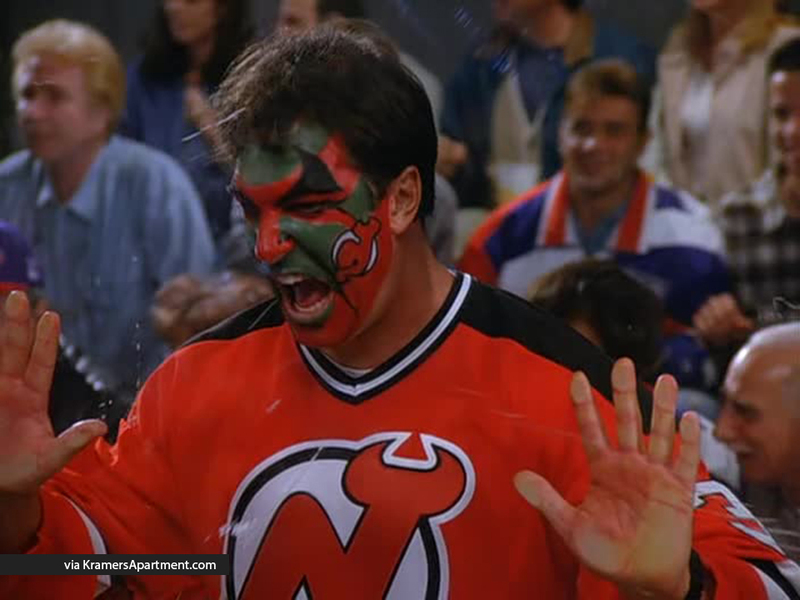 Jerry: Well, it’s too late. 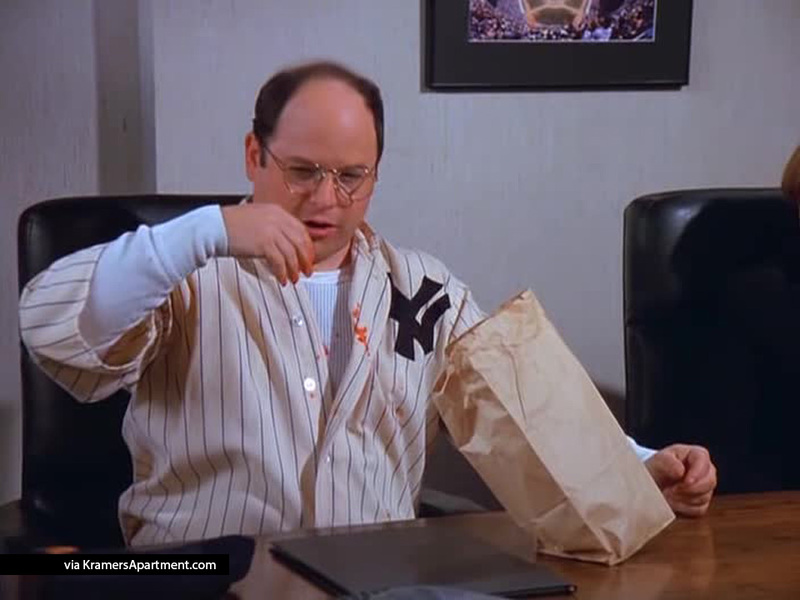 I gave it to Elaine, and she’s already on her way to give it to George’s father. Jerry: …give, given it to the person that they originally gave it to. Jerry: I’m sorry, I’m not familiar with that term.